2018 Aim:After losing 4 top players to try and stabilise team and stay away from the bottom end of the table. Main aim is to have some fun! Meole Brace will be disappointed with how they ended the season, with 8 straight losses, but should still be happy with their season considering the loss of 4 key players at the start of the season. 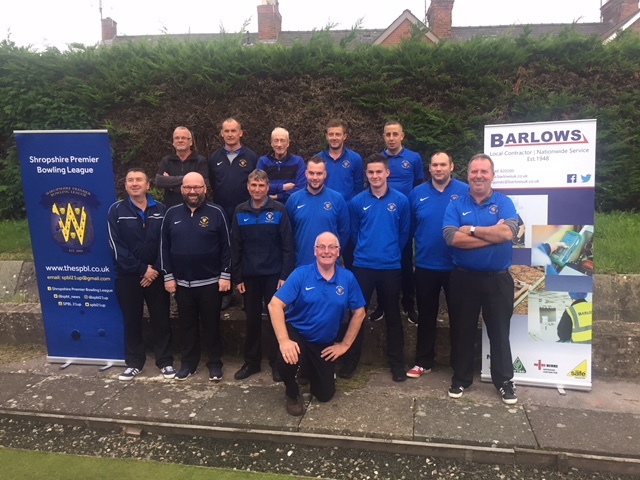 A run to the Barlow Fire & Security Alan Mayhew Trophy was their highlight, beating Hanmer and Sir John Bayley on the way, the latter in a fine home and away performance. They came up against a tough team in Castlefields, and with having several players out too, they couldn’t match their 2016 success against them, but still played with the spirit that gave them a great first half to the season. 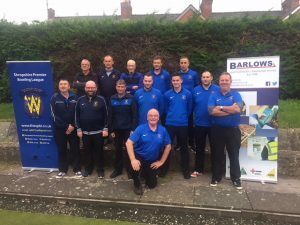 This featured two away wins, both in North Shropshire at Ifton and Chester Road, in addition to another win up north at Hanmer in the second half. Their home form was good too, a 3 shot win over Castlefields undoubtedly their highlight against their big rivals. They also had a great win against Sir John Bayley 11-3, and Burway 12-2, but did suffer five losses at home overall. But they stayed away from a relegation fight, and with the loss of those key players were only 17 points down on last season. They lost 1st round of the Seaton Sports Pool B against Bylet.